What is the simple method to avoid the scab from hand after pealing colocasia roots.? 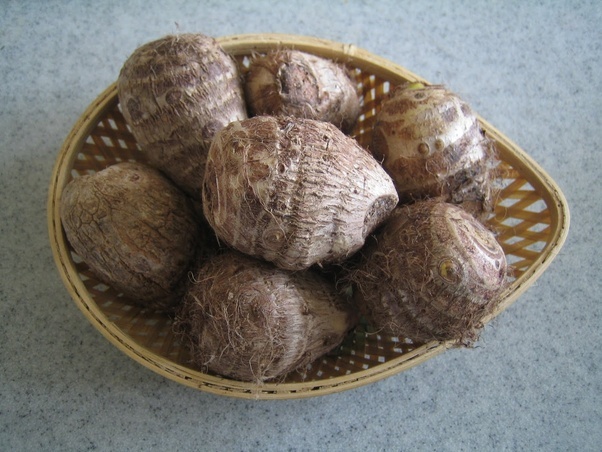 The colocasia root (also known as the taro root) has calcium oxalate near the surface under its skin. This makes it toxic to eat uncooked and can irritate the skin. Common methods to avoid skin irritation are oiling the hands (which isn't working for you), peeling them under running water, which rinses off the irritants quicker, and lastly is wearing gloves. I would recommend getting a box of food grade latex gloves, that should keep your skin from coming into contact with the irritants. Doing it under running water also wouldn't hurt. Not the answer you're looking for? Browse other questions tagged vegetables cutting or ask your own question. Is there an easy way to trim the ends off green beans quickly? How can I reduce nitrate concentration in vegetables before or during cooking? What are the modern or recommended ways of cooking corn on the cob? Knife for cutting steak slices from whole ribeye? A salad chopper I can put in the dishwasher? Can I simply soak fruit and vegetables in water for several hours to sanitize them?